My name is Carlos Matallana. I am a Visual communicator (from UI to Comics), foodie, part-time baker, and father of two amazing Burley troublemakers. Why do I get involved with FOB? I don’t even know... Maybe their willingness to make things happen? Or their afterwords meetings over IPAs? Or their always fun events to raise funds for the school? It can also be their friendly faces who always greet you with a new event to promote? 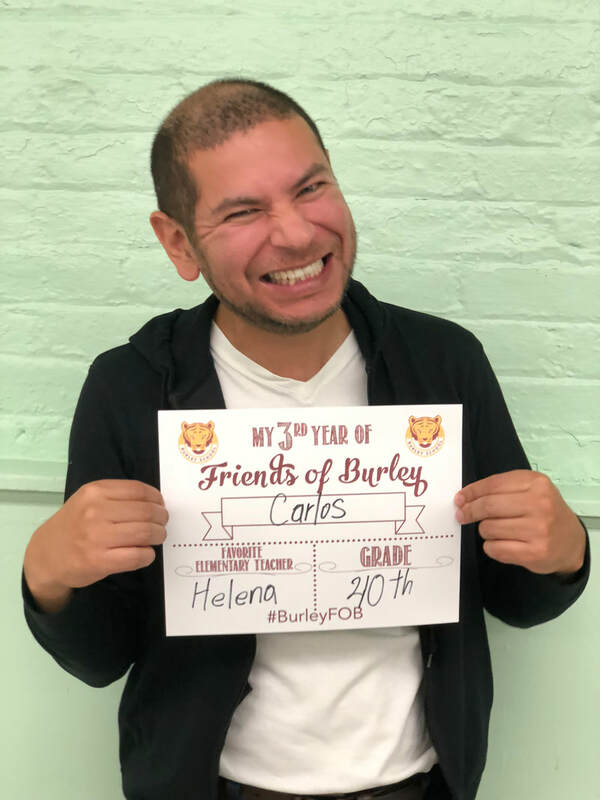 Despite the fact that we all have kids, a job, and a family, FOB is always ready to do more than expected in order to contribute to Burley. I’m strong believer of community, and whatever implies to strengthen its social thread. My children are always excited to go to school, they love their teachers and staff, they speak proudly and entitled about their school. I have helped to communicate ‘we-need-you-now’ visually in an affable and effective way through flyers, text messages, logos, .gifs, always fueled by the quirky irony of Jen Faust’s writing. I was crazy excited about the greenhouse and the chicken coop, I’m still waiting for the third phase of the project a rotisserie so kids can have a whole experience.